What are the Basic Requirements for Indefinite Leave to Remain in UK? It ispossible to join your husband, wife or civil partner in the UK by applying fora relevant visa. The marriage visa UK is generally granted for a period of 6months, which can be extended by applyingfor an extension with proper documentation. 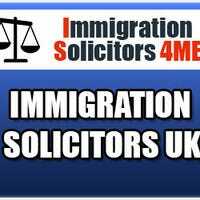 What is Entry Clearance for the UK and How Immigration Lawyers May Help You to Obtain This? NOW YOU CAN EASILY GO THROUGH THE IMMIGRATION PROCESS!